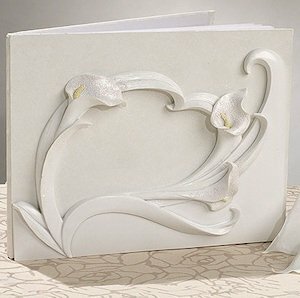 Collect each important signature of your attendees in this stunning calla lily wedding guest book. 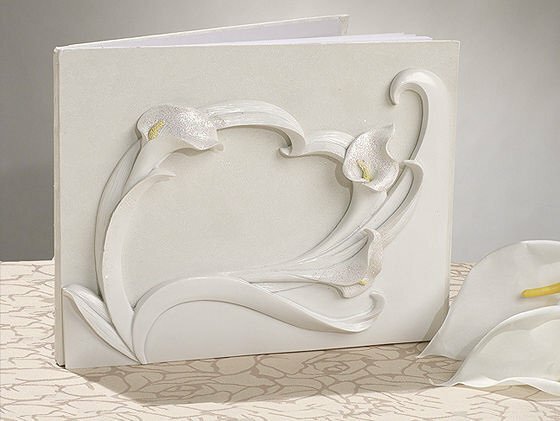 The classic look of the calla lily lend their beautiful lines to this guest book cover design. Also featured on the dramatic cover design is a modern-looking heart and cover art is crafted of quality resin. This guest book measures 8" by 10" and is shipped in a gift box, making it perfect for a shower gift.